Fantasy role-playing games from Japanese developers have proved to be quite popular over the years, as the success of the Final Fantasy series, and its latest instalment Final Fantasy XV proves. And those fond of RPGs set in colourful fantasy worlds are likely looking forward to Tales of Berseria, a role-playing game by Japanese outfit Bandai Namco which will be released later this month. This action RPG is set in a medieval fantasy world, and like other upcoming games this year will feature a female protagonist, while Bandai Namco’s game features party-based combat in the Final Fantasy vein too. Also, Tales of Berseria looks likely to feature some pretty stunning visuals as its cutscenes were created by a well-known Japanese animation studio as detailed on the game’s Steam page. Regarding Tales of Berseria’s system requirements, PC owners will be happy to know that they won’t need a cutting edge rig in order to enjoy this latest RPG, which is not surprising taking into account that unlike most games these days Tales of Berseria will also be released on PS3 in North America and Europe (the game is already out in Japan). 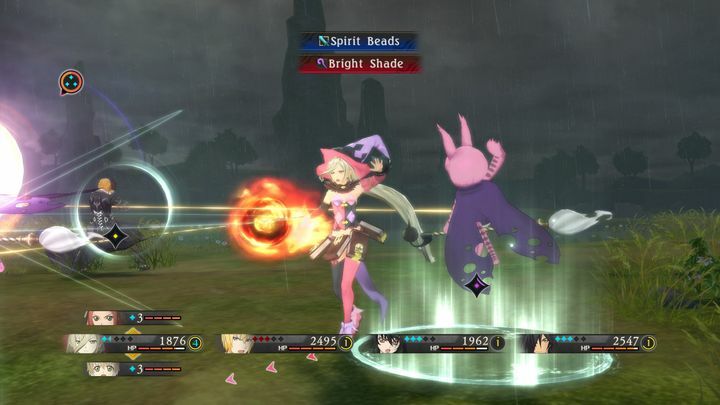 Actually, Tales of Berseria’s PC version only requires an Intel Core 2 Duo processor and unlike other more recent video games also supports AMD’s old Phenom II processors, plus its low memory minimum requirement (2 GB) and install size (15 GB) mean running this game on a laptop would even be a viable proposition. The recommended system requirements won’t break the bank either, as an Intel Core i5 or AMD Phenom II X4 processor will suffice, while an old GeForce GTX 560 or Radeon HD 7870 graphics card will be enough to enjoy Tales of Berseria at its best. So hopefully Tales of Berseria will be another great Japanese RPG, and one that will make up for the mild disappointment that Final Fantasy XV was last year, although we will have to wait until the game’s release later this month in order to find out whether Bandai Namco’s latest game lives up to the hype and becomes one of this year’s best video game releases. Note: Tales of Berseria will be released on January 24, 2017 in North America and January 27 in Europe. Available on PS4, PS3 and PC.